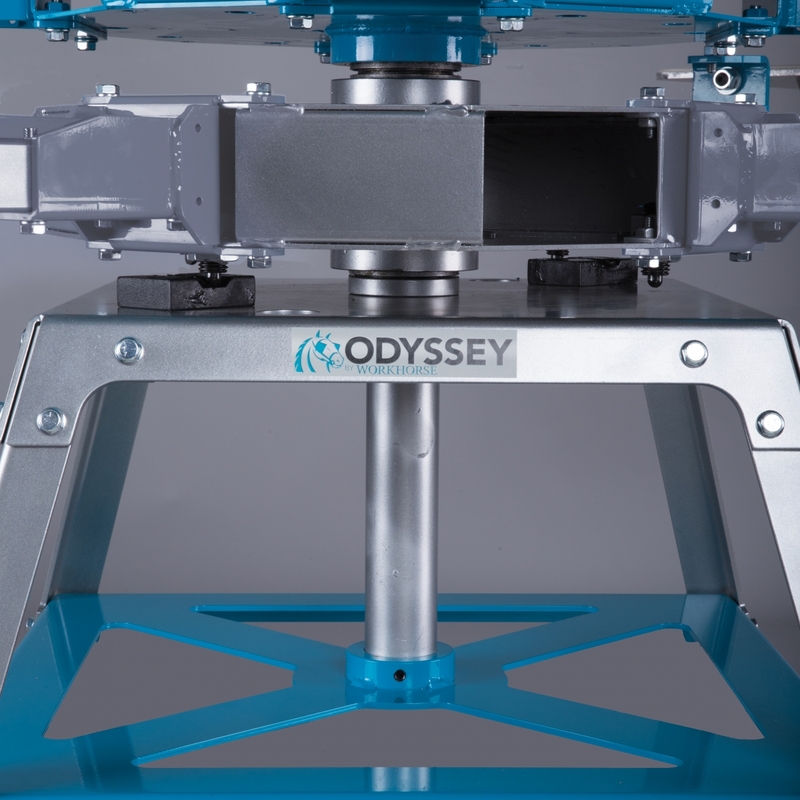 The newly redesigned Odyssey Manual Printers are value priced industrial machines with high quality professional upgrades. 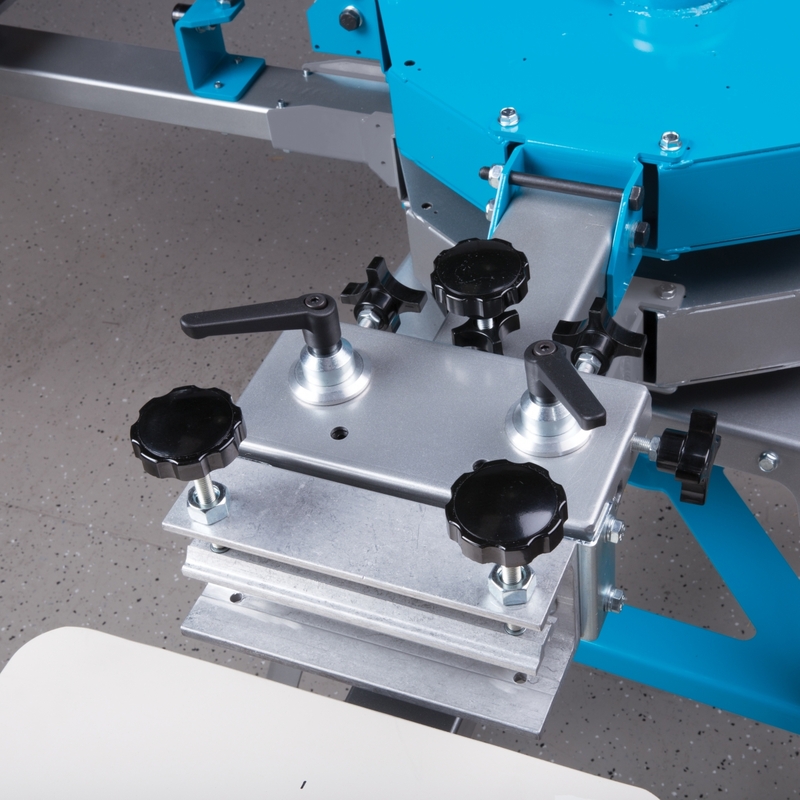 While this is our “Entry Level” manual screen printing press, it is unmatched in its class. 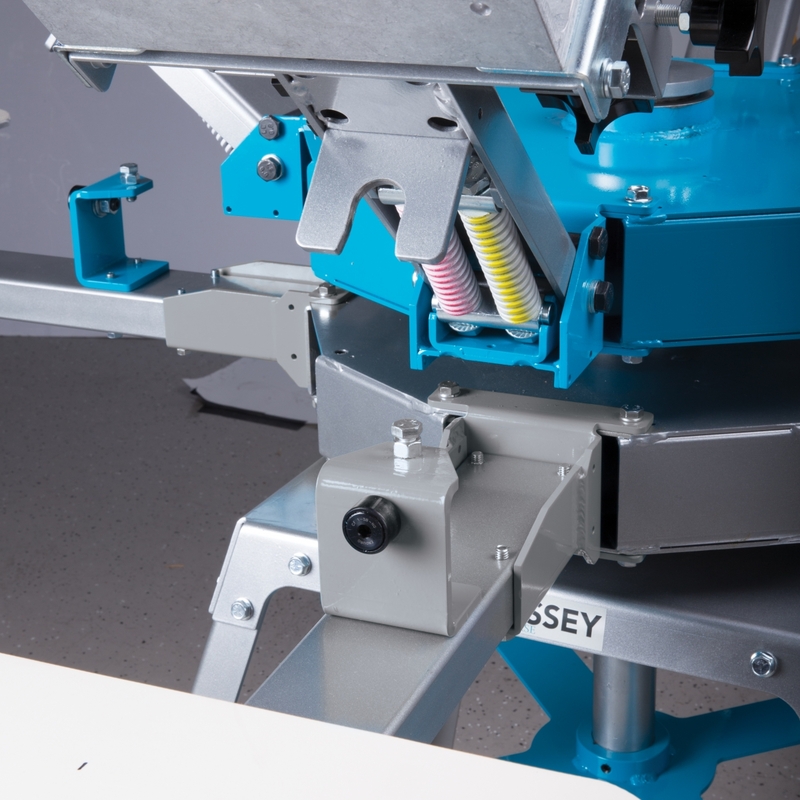 The Odyssey Floor Models are ideal for start-up operations such as home-based business, sporting goods retailers and other decorated apparel companies that want to add a screen printing department. Because of its durable design, the Odyssey will not only help you begin your business, it will also remain reliable as you continue to grow. New Print heads have a spring loaded micro registration system to allow for the smallest of on head adjustments. 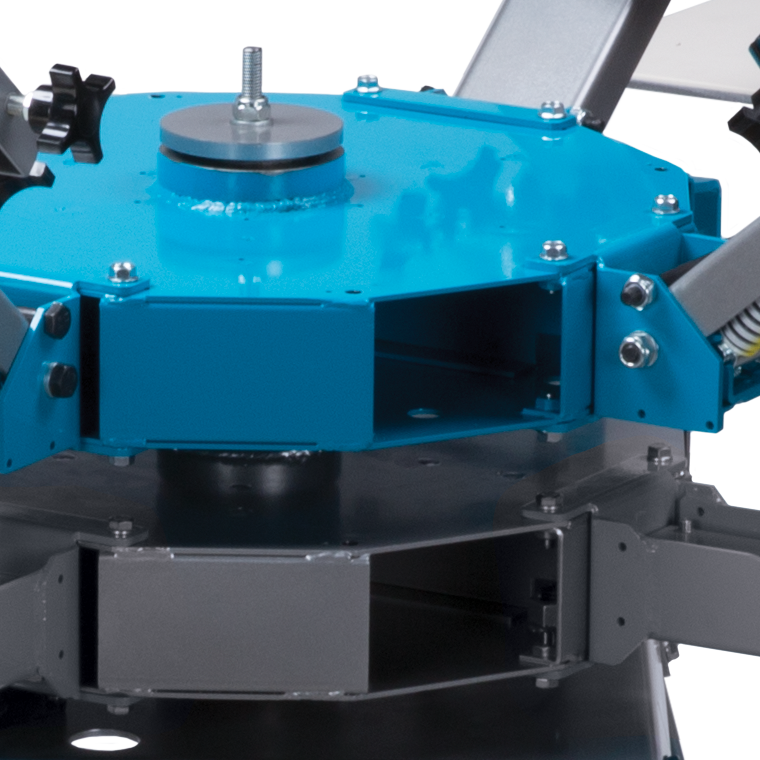 The re-designed turrets provide an easier to use carousel with improved structural support. 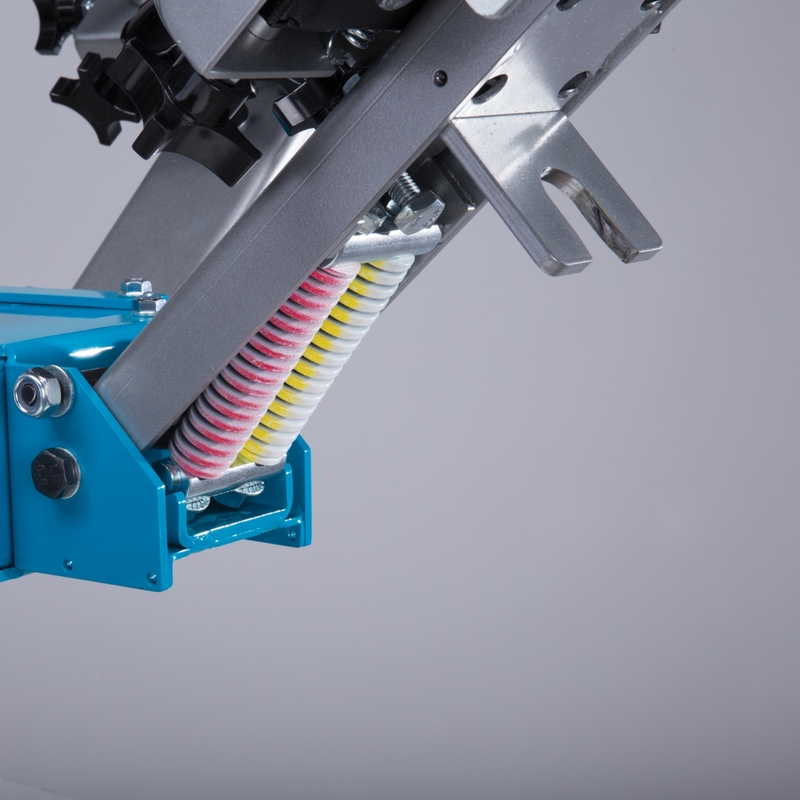 Different from the nylon bolt style of the past, this system is derived from the same time tested registration used on all of our automatic presses. It provides little to no wear and with no adjustments needed. The shaft is now twice as long and supported at the bottom. This provides over five times the strength as before and creates additional support to all portions of the press. A covered die compression spring cartridge has replaced the exposed extension springs. The compression springs provide a longer lifespan and a more secure setting for the springs. 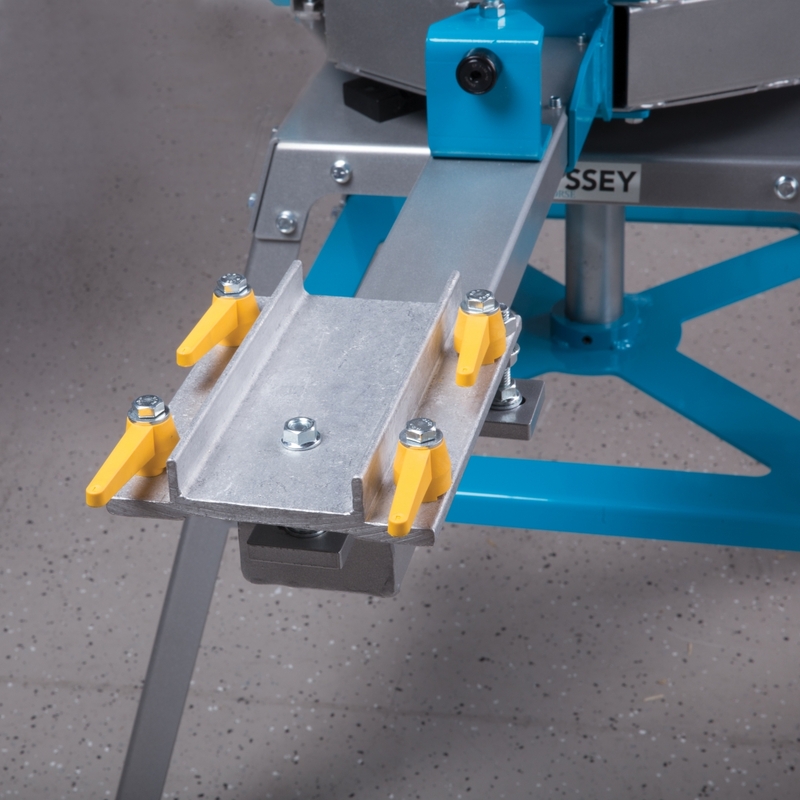 Floor Model Presses come standard with a quick release pallet & bracket system. Each press will also include a set of rubber coated aluminum pallets.